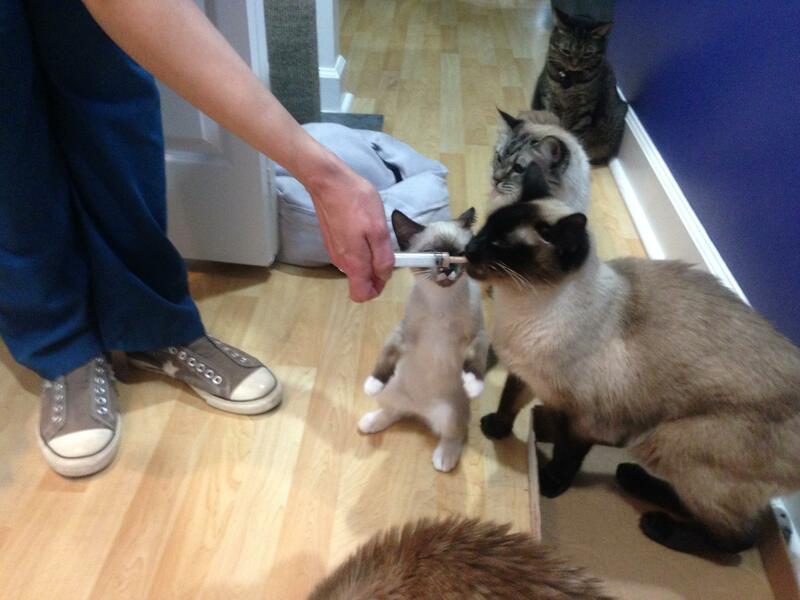 Cats are trainable and can be quite easy to medicate. It is all about finding something that motivates them to make it worth their while. The key to this being successful is keeping the reward novel; do not burn them out on it. Humans struggle with this part. 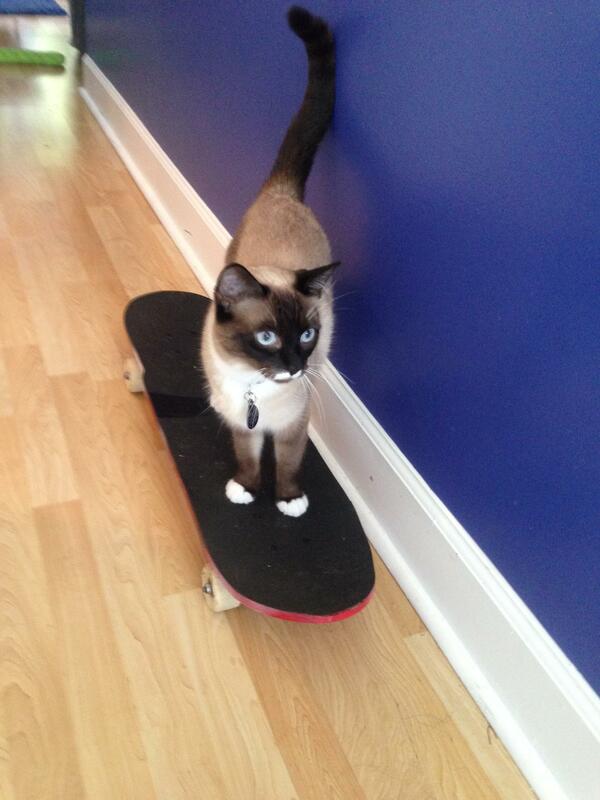 Be stingy with your rewards and before you know it your cat will be doing all kinds of tricks like sit, hi-five, and even riding a skateboard! Not to mention eating their pills willingly! 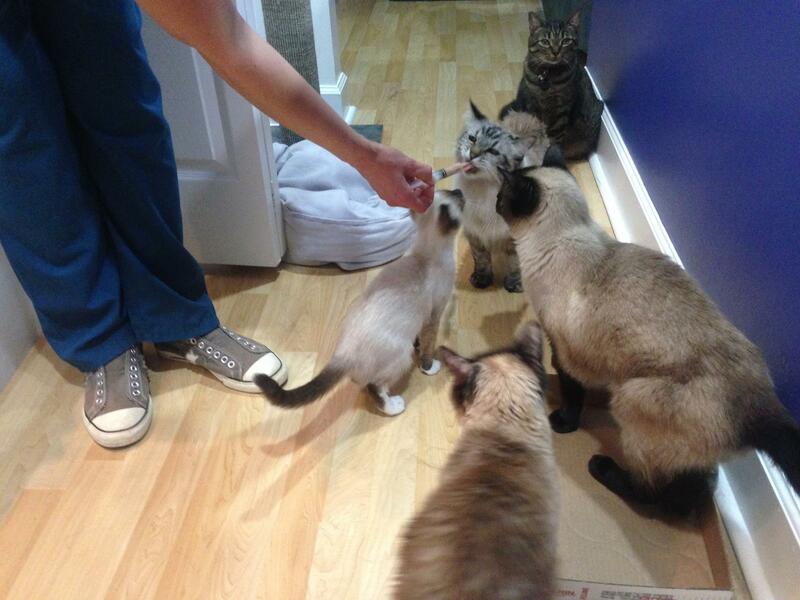 That's right, just take a look at the photos below to see how my cats swarm me at meds time. Single ingredient, plain meat human baby food (ham, chicken, beef, turkey) NO onions! 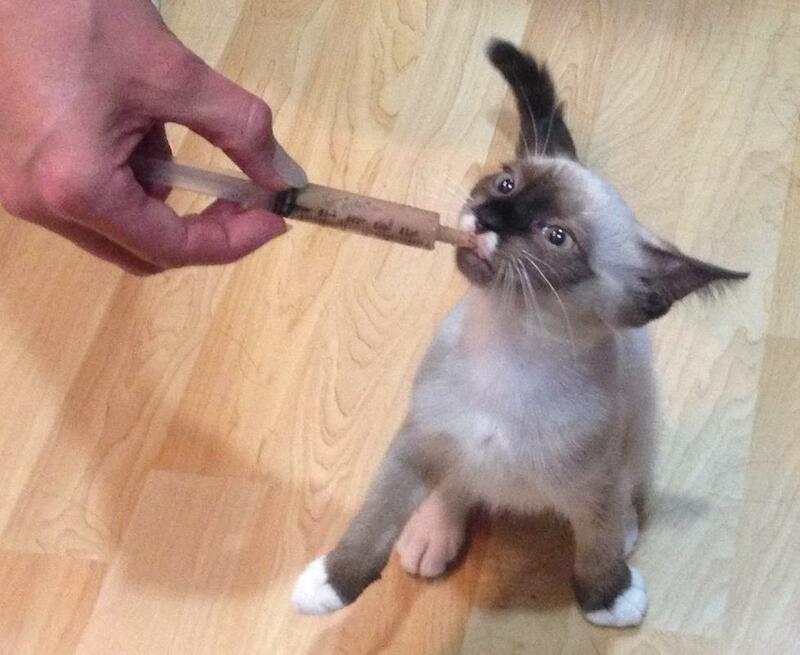 Or try Ciao Churu purees (essentially baby food made just for cats) available in a variety of different flavors. Willow will do most anything for Hill's a/d, that's how she learned to skateboard! 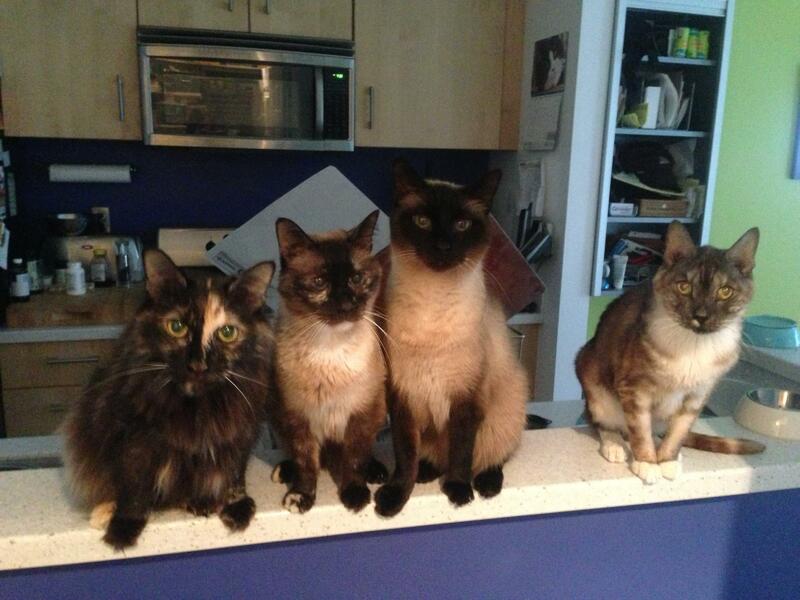 The meds train at our house! They come to ME! 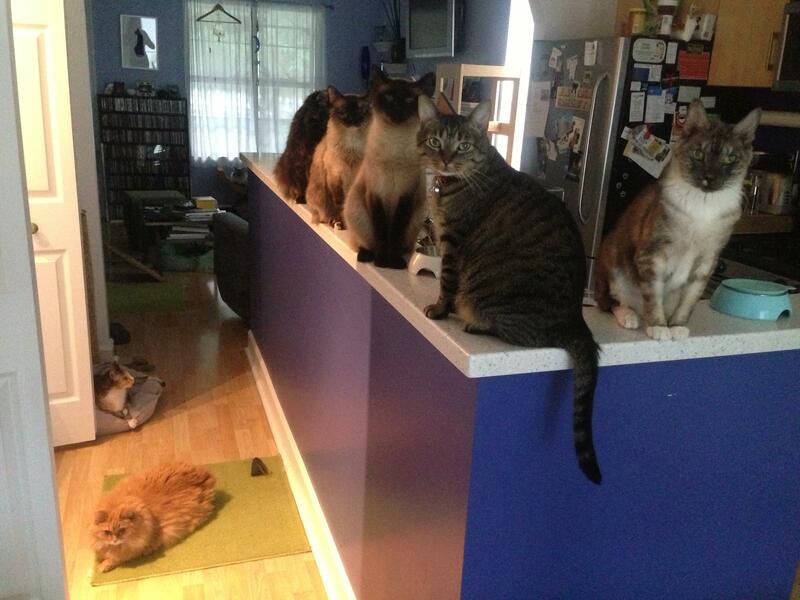 Lined up and waiting. My service is apparently slow. 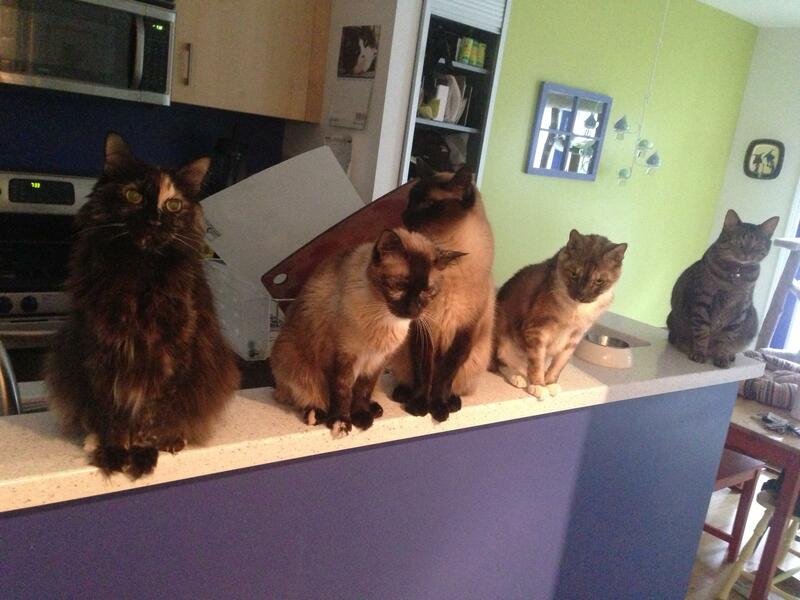 Ever think your cats would be eager for pills? 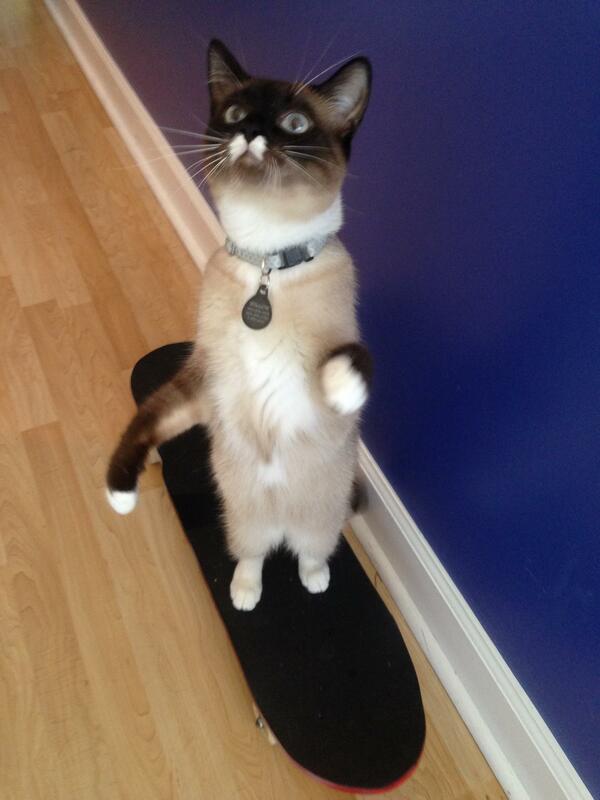 Cats are trainable, but you gotta pay 'em! Watch my Medicating Tips and Tricks video! 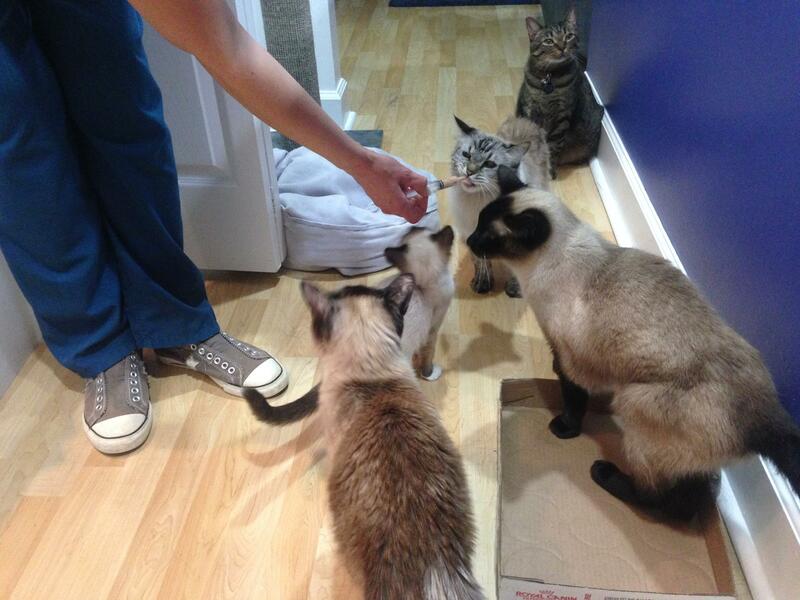 All enthusiastic for meds time!